via an elegant platform that promotes engagement. I first met Camilo Barcenas, CEO of Dabo, at our 2011 Social Media Summit. I introduced him to MCCSM Medical Director, Farris Timimi, M.D. and together we began exploring opportunities for engagement with clinical practice and business development leaders at Mayo. 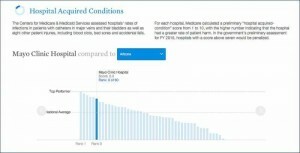 Make sure you look at the last one, showing the dramatically increased views of quality metrics among the 254 pilot participants as compared with the existing spreadsheet-based scorecard. 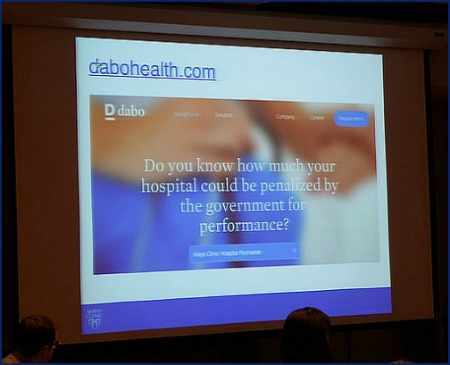 To meaningfully improve metric performance, we must engage front-line staff, and through this pilot project we demonstrated the potential for the new Dabo Health platform to do exactly that. If you work in a U.S. hospital, check out your data through the free Dabo Health platform,and invite clinical staff to check this out as well. We welcome your feedback as we work together to improve Dabo and, hopefully, all U.S. health care. 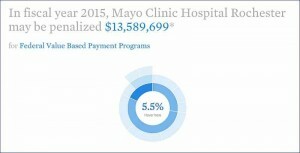 *Mayo Clinic is a shareholder. Our goal through Dabo Health* To help make health care quality metrics actionable for front-line staff by applying social networking principles via an elegant platform that promotes engagement.